The track is included on a disc of bonus material from sessions at New York’s Power Station as part of a 3CD Deluxe Edition that also delivers the record’s original mix alongside a new 40th anniversary one by the album's original engineer/mixer, Ed Stasium, and a third disc that presents a complete unreleased concert recording of the band’s December 19, 1977 show at the Apollo Centre in Glasgow, Scotland - just days before the group recorded the classic live album, “It’s Alive”, in London, UK. 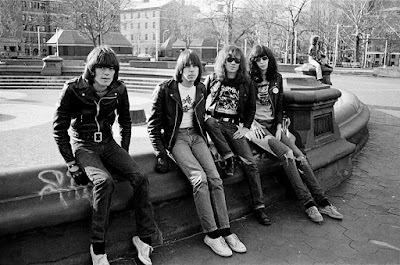 The New York band’s third album – and last to feature their original lineup – included classic singles like “Sheena Is A Punk Rocker” and “Rockaway Beach” while peaking at No. 49 on the US Billboard 200.